But in 2017, what’s trending in changes fast. eCommerce brands often struggle to keep up, both with new design sensibilities and cutting edge functionality. Providing shoppers with the best user experience requires constant adaptation. And it’s not always practical to redesign a website from head to tail. That’s where plugins can help. Plugins are simple, powerful tools for websites; things like contact forms, photo galleries, or social media livestreams. Think of them as furniture for your website. Because they’re easy to add, move, and modify, they can extend the shelf-life of a website, without requiring a completely redesign. Today, there’s an absolute abundance of plugins available through Shopify. So it’s important to choose plugins that add value, without bloating your site. Reviews from other users, install counts, and the opinions of experts can help you make good choices early on. Beyond that, you’ll need to see how different plugins influence your bottom line; that is, do they help you increase overall conversions and sales? Plugins generally fall into two categories; functional and design-oriented. 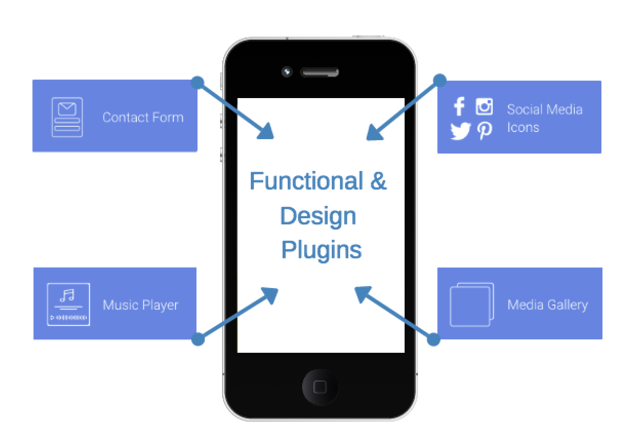 Functional plugins add new capabilities to your site, like collecting user feedback or playing music. Design-oriented plugins help you manage the look and feel of your site, to keep up with new design trends. For instance, you might add branded social media icons to your site’s footer. Or embed a media gallery to show off product photos or videos. As a brand that offers dozens of free functional and design-oriented plugins, POWr offers an abundance of consistent tools for any online store. Plugins are not a cure-all. There will be times when a professional web developer, or a soup-to-nuts rebrand is in order. Over-reliance on a mish-mash of plugins is likely to damage your site’s UX over time, and might leave you in the lurch. When working on your site’s overall UX, a fresh pair of eyes is essential. If you have the budget, it might be worth bringing in professional help from a UX specialist or researcher. Experts, like Codal, know that UX research and design can grow sales and boost conversions even through minor changes. For instance, 67% of users are more likely to purchase from a mobile friendly website. 88% of consumers are less likely to revisit a site if they have a poor first experience. And 75% of customer judgements stem directly from a site’s aesthetic. Put simple, UX matters. Building confidence and loyalty among your customers has implications far beyond their first purchase. Repeat customers are a literal gold mine for online retailers, as they are substantially more likely to purchase again than new customers. Again, consistency in design, and over time, can help grow this trust and create a foundation of returning customers that will stay with you for years. One of the most challenging decisions of an eCommerce site is determining what is the best strategy in order to achieve the highest conversion rate. Implementing plugins that are both useful and consistent to your brand, and focusing on the UX of the site is a healthy strategy. Done right, it can make be the difference between making it and breaking it in eCommerce.